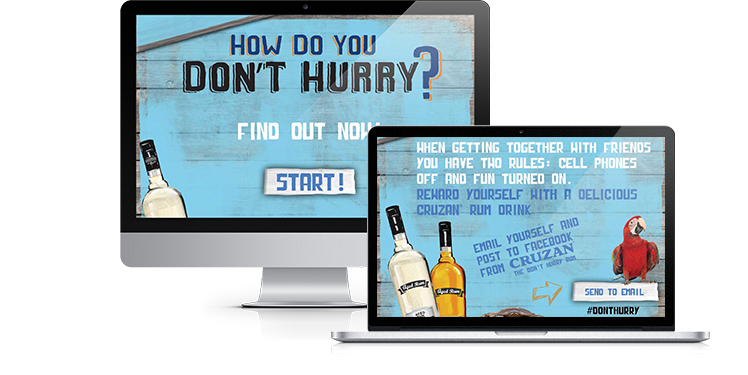 Right&Above was approached with a request to build a quiz website for a popular rum brand’s promotional campaign. As our goal was to make a website for a product promotional campaign that was running nationwide, mobility was the key to the project. Our team used HTML5 to make the website responsive and available on mobile devices, particularly on iPads, smart phones and laptops. Using Angular JS, we filled the website with dynamic content rendering. Also, our team implemented Facebook, Twitter and Email Share Result functionality. We built the reporting tools for campaign result analysis and integrated MailChimp to provide the opportunity to send promotional information to registered users.